In the beginning, there was Avenues Proper, the “Restaurant & Publick House” that opened in The Avenues in the spring of 2013. And it was good. Avenues Proper begat Proper Brewing Co. and Proper Burger Co., which opened simultaneously in 2016 on Main in SLC. 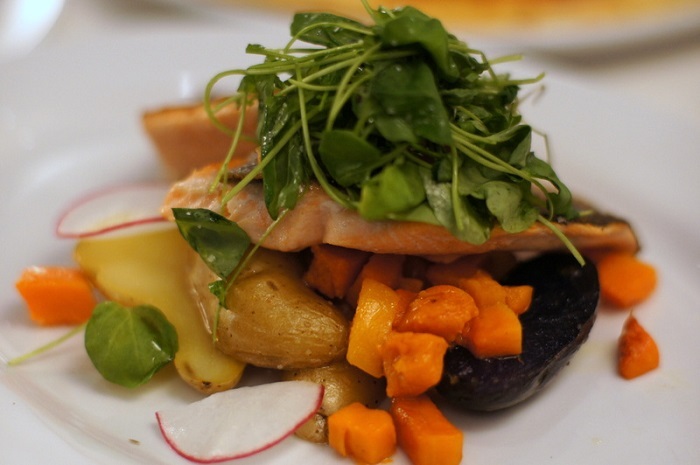 The food was less fancy, but more focused, and it too, was good. 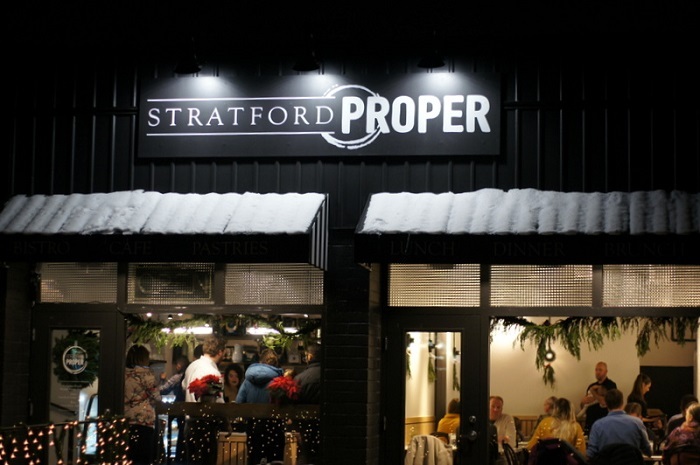 This month, the Proper crew launched its newest venture: Stratford Proper. It’s a bistro located in the Sugar House space on Stratford Avenue that was formerly home to Per Noi Italian restaurant, before they relocated to Highland Drive. 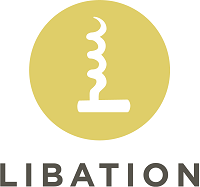 It’s a tad early to fully review such a nascent eatery, and I don’t like to make judgments about cuisine and service based on invitation-only “soft” openings and media events. But this place is worth checking out, so here is a sneak peak of what you might expect. Keep in mind that Stratford Proper has been open to the public for only a matter of days, so they may still be getting things dialed in. The first thing to grab your attention is how different Stratford Proper is from Per Noi. I couldn’t quite get my bearings, since the Per Noi space was essentially gutted, expanded, and considerably improved upon. 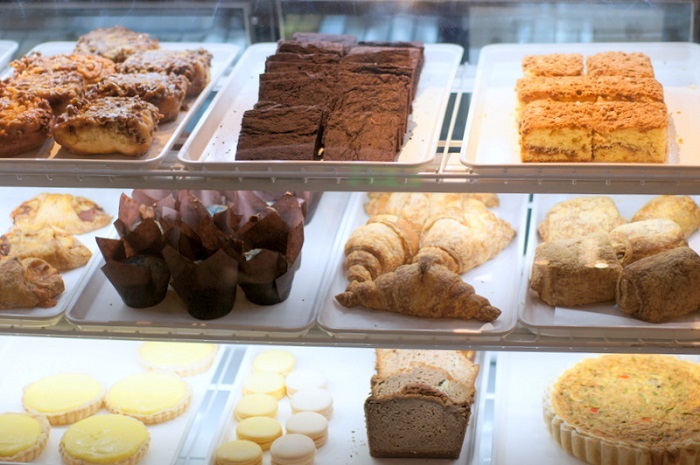 Now, rather than open up onto drafty dining tables, the front door opens onto a pastry case filled with fresh-baked sweet things to eat-in or takeout. The restaurant is a very clean-looking, well-lit place with a minimalist look and feel. I’m not sure if more art is on the way, but the walls are mostly white and bare, not that there’s anything wrong with that. A splash of color here and there might add a little eye appeal, however. 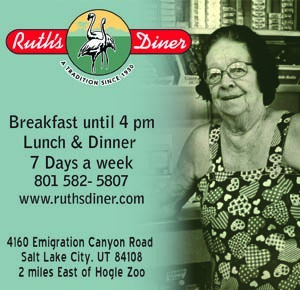 Quickly seated by a friendly hostess, we perused the new menu. It’s filled with foods made from scratch and features bistro-style fare, with most items priced under $20. 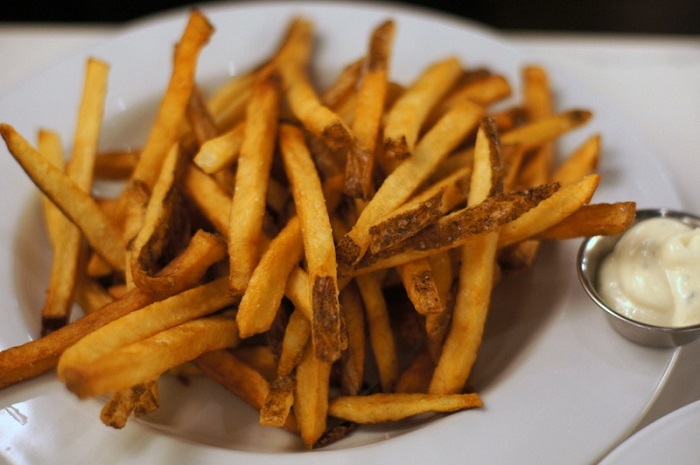 A generous plate of hand-cut pommes frites served with homemade garlic aioli is a mere $4. Diners can add fine herbs, Parmesan cheese and truffle powder for an additional $2. 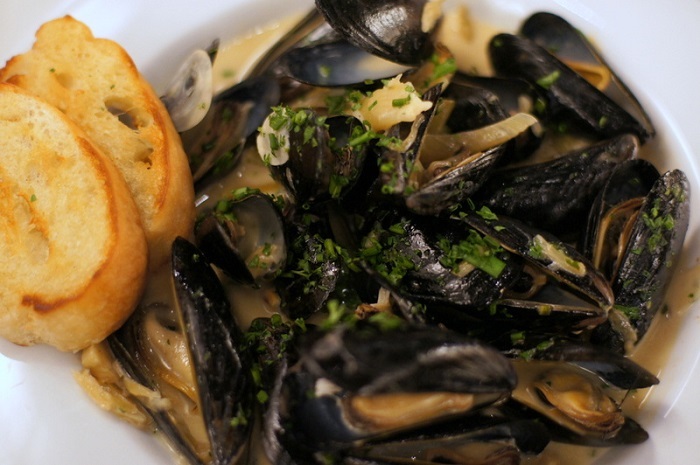 We used some of those tasty frites to help soak up the abundant broth that came with our steamed black mussels ($12). The mussels were bathed in a rich tasting broth of white wine, caramelized fennel and cream, served with a pair of toasted baguette slices. The mussels were plump and perfectly cooked. However, I’d offer the suggestion that, for those who don’t have fries alongside, Proper might consider including more than just two bread slices per order because there’s a lot of delicious broth left in the bowl after the mussels are gone. A Margherita pizza was, frankly, disappointing. Again, maybe the kitchen is still working on their pizza proficiency. 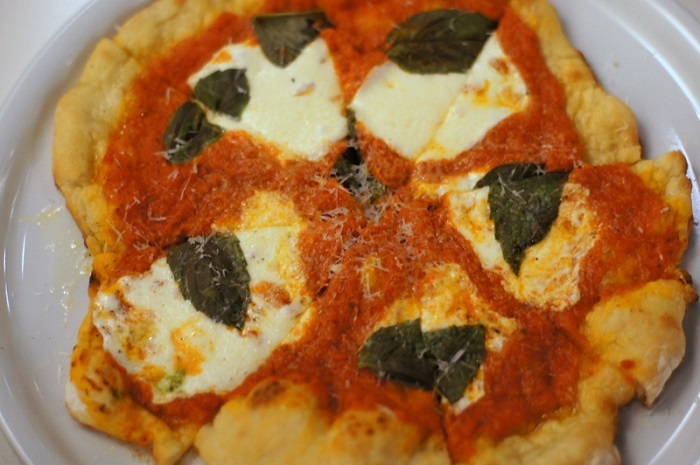 But a Margherita ($10) – the simplest of pizza types – called for a very simple San Marzano tomato sauce, whereas the sauce on the Proper pizza was improper: it tasted like marinara intended for pasta. Other pizza options include Sweet Veggie Marinara (there’s that marinara, again), Prosciutto & Arugula, and a Smoked Ricotta Pesto pizza. Fettucini (sic) Carbonara ($13) was house-made fettuccine pasta tossed with big chunks (a little too big) of pancetta, egg yolk, Parmesan cheese and minced herbs. 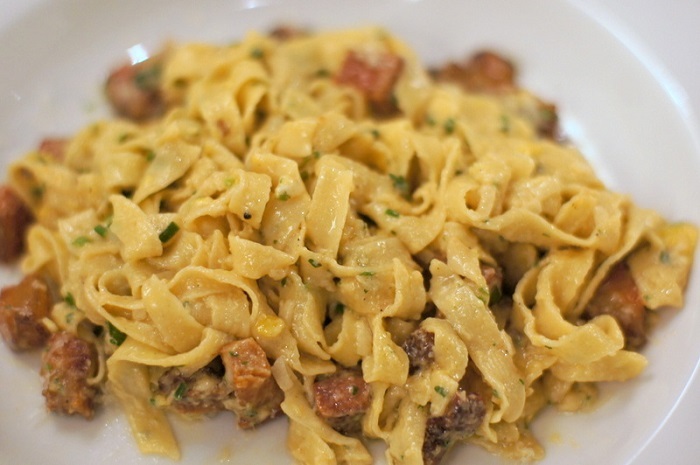 If you’d like a carbonara recipe to try at home, click over to this week’s Scheff’s Table and give mine a try. Additional pasta menu items at Stratford Proper include Spaghetti Bolognese ($14), Mushroom Agnolotti ($14) and Squash Gnocchi ($13). 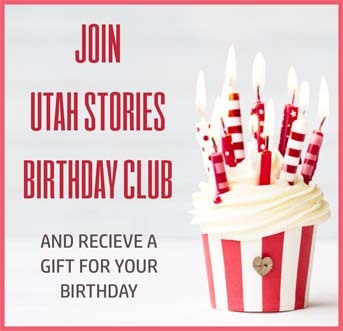 Main dishes include a couple of burgers – a Bistro Burger ($13) and Portobello Burger ($13), Cast Iron Chicken Breast ($18), Bistro Sirloin ($21), and Utah Trout with watercress salad, fingerling potatoes, butternut squash and burnt lemon ($19). There’s a good selection at Stratford Proper of speciality cocktails, mocktails, liquors, a range of Proper Brewing beers on draught and in bottles, and a small but serviceable wine list. While it’s still a work in progress, to me perhaps the most appealing aspect of Stratford Proper is its amiable, professional servers and managers. I look forward to returning.